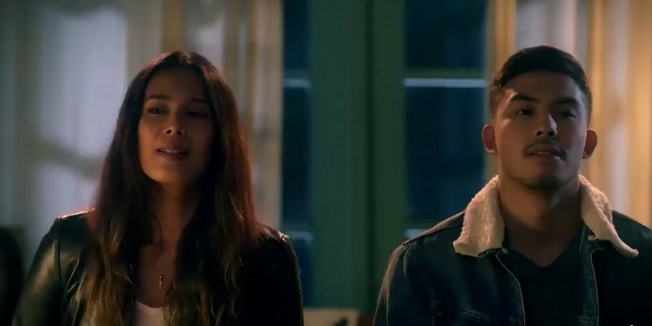 Angel Aquino and Tony Labrusca set the internet on fire after the trailer of their iWant original movie “Glorious” made the rounds online, having earned more than six million views in 24 hours. iWant is the new streaming service of ABS-CBN, the leading media and entertainment company in the Philippines, which will be available to iOS and Android users starting November 17. Produced exclusively for iWant by Dreamscape Digital, the digital arm of ABS-CBN business unit Dreamscape, “Glorious” revolves around Glory (Angel), a 52-year-old woman who falls in love with Niko (Tony), a guy 30 years her junior. They start a risqué May-December love affair, but will struggle to keep their relationship intact amidst social disapproval and judgment. The names of the two stars also trended on Twitter in the Philippines as netizens and various celebrities, including Tony Award-winning singer-actress Lea Salonga, posted their enthusiastic reactions to the trailer. For updates, like www.facebook.com/iWant, and follow @iwant on Twitter, @iwantofficial and @dreamscapedigital on Instagram, and www.youtube.com/iWantPH on YouTube, follow @abscbnpr on Facebook, Twitter, and Instagram or visit www.abscbnpr.com.